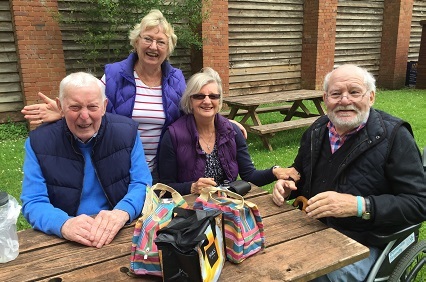 The AONB Team is currently developing a project which will see a weekly programme of short guided walks for people living with dementia and their carers. We want them to be able to continue to enjoy our beautiful landscapes, wildlife and culture and to benefit from the support of walking with others. Thanks to funding from Morecambe Bay Partnership, we are able to offer specialist training by the charity Dementia Adventure to volunteer walks leaders and hope to launch the project with our first walk on Tuesday 23rd April 2019. The walks will take about 45 minutes to an hour and there will be a chance for a chat and a cuppa afterwards in one of the local cafes. This pilot project will initially run for 6 months when a full evaluation of the project experiences will be undertaken.